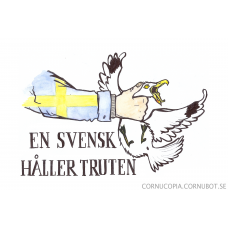 This instant classic pictures a Swede holding a gull. 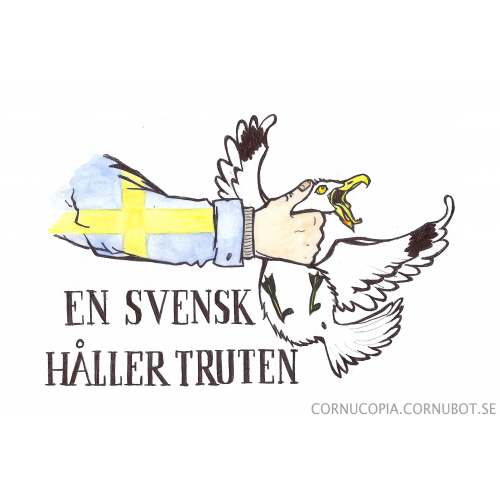 Why is the Swede holding the gull? Well... we do not talk about it. These are matt stickers with a white background. Useful on your laptop, your front door, or your vehicle - or anywhere else. This is official artwork by Adrenalena, first seen at Cornucopia?. Due to seasonal holidays and RSHYR, this item will not be shipped until 8/1 2018. It is still possible to place order and make the payment at any time, to secure your item.